At the end of this week it's Undiagnosed Children’s Day. These are conditions so ultra-rare they don't have a name - and that brings many more challenges for families already dealing with a sick child. 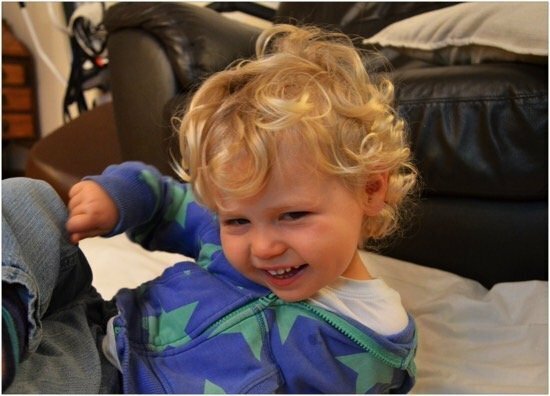 We have some special news on Friday, but we're really pleased that today we have a personal story of Sarah Ricketts and her family who have a son, Jackson, with an undiagnosed condition. I think their story really shows the difficulties living with an unknown condition brings. Undiagnosed Day is run by Swan UK, (Syndromes Without A Name) part of Genetic Alliance, (of which SNJ is a member). Many thanks to Swan UK for helping us highlight Undiagnosed Children's Day. That tends to be my stuttered, poorly expressed attempts to explain my son, Jackson. And it’s an explanation I don’t mind giving. In fact I usually I end up jumping in without even being asked. It’s his age that has the impact. Because it’s not what people expect. It’s like the dress that dominated social media a few months ago. Is it gold and white, is it blue and black? The mind takes in the surrounding colours and adjusts what is actually in front of the eyes. That’s what often happens with my smiley, funny, standard sized three year old. Unlike many children with genetic conditions, he is firmly on the chart for weight and height. He is bog standard sized. But when presented with the surroundings. The baby toys. The pureed food. The pushchair. Most people see something else. The mind filters out the postural supports on his chair and the medication syringes poking out of my bag. When I ask people how old they think he is, I usually get the answer ‘about 18 months.’ People see a baby. Because that’s easier for the mind to process than the truth. Because despite a raft of symptoms and years of investigations, my son’s condition remains unknown. We have no diagnosis. We have no prognosis. And he is not a rarity, but one of thousands of children with a syndrome without a name. For us, I often say that things began at six months. But in reality, there were always problems there. Right from birth, Jackson would scream non-stop. Sleep was non-existent in our little London flat. We were your typical city dwelling first time parents. Living in an undersized rental property, with thin walls and lots of (thankfully tolerant) neighbours. We were prepared for our lives to change with the arrival of our baby. But we never could have imagined the way that the next year would unfold. My baby wouldn’t stop crying at all. He was a newborn sleeping four hours in 24; only in 20 minute segments. This wasn’t in the baby books….or on the websites…or in the other baby books that I secretly flicked through in the book shop, desperately scanning for a solution. It wasn’t just the fact he cried. It was the way he cried. His little body would tense. He would turn red. We were in absolutely no doubt that he was in constant pain, but with such non-specific symptoms, no one seemed to want to listen. The GP declared colic. After 14 hours of pained wailing that didn’t stop for a minute, A&E moved it up to ‘possible reflux’. And so we began down a path of reflux and allergies. But it still just felt wrong. He wasn’t responding the way the other babies we met with those conditions did. He never threw up. The insanely tilted reflux cushion did nothing. The dairy free diet had no impact. Then at six months, everything changed. I remember the first time it happened so clearly. I was feeding Jackson when he bent forward and screamed in pain, whilst his entire body shook. I wondered if I had imagined it. If the shaking was caused by the crying and this was all part of the same allergy problem. It wasn’t long until that theory was disproved. Soon he was having regular ‘attacks’ where his entire body would tense. His arms would twist backwards and his fists would clench. His toes would point. Eventually every single muscle would become so tight that his little body would shake. And it hurt him. Badly. I won’t detail what it is like to live with a child facing painful neurological attacks. But it was hard and we were desperate for answers. Only answers didn’t come. No one could work out what these attacks were. All tests were normal. They weren’t seizures and they were now happening 20 times a day. Any hope that they weren’t neurological in origin were destroyed when the next type of attack happened. We have some odd ‘firsts’ in our house. Not first steps or first words, but ‘first episode of paroxysmal dyskinesia’...it’s got a ring to it I think? Thankfully these did not cause pain, but they were dramatic. His entire body would flail out of control with violent involuntary movements. Soon they were happening 30+ times a day. I found an old notebook the other day. Written from beside a hospital cot, surrounded by wires. It lists the episodes with length and type for the doctors. I could barely keep up. Then, a standard childhood illness picked up on the ward prompted five sudden seizures, causing a terrifying drop in heart rate. Thankfully, he was pulled out of the worst seizure using rescue medication and we have never seen them since. We still don’t really know what happened and if they were very bad febrile convulsions, or something else. But we found ourselves on the High Dependency Unit, awaiting transport to Great Ormond Street, wondering how the hell our lives had been ripped apart in a matter of weeks. It was at Great Ormond Street that we first heard the term ‘dystonia’ and we began to understand the full body spasms that were torturing out little boy. We also gained hope that they could be controlled and began medication trials. But we now had the words we needed. We had Google ammunition. And Google we did. It wasn’t good. At this point, doctors did not see any developmental issues with Jackson. But I just wasn’t sure. And whenever I put his combination of symptoms into Doctor Google, it threw back life changing, devastating conditions, many of which followed a progressive course. Eventually it became clear that his development was not only stalling. It was going backwards. We had the first of a string of regressions. That was a Google search term that really didn’t need to join the party. "And so we began heartbreaking tests. Five lumbar punctures, a muscle biopsy, EEGs, MRIs, EMGs, endless blood tests. They all showed nothing." And so we began heartbreaking tests. Five lumbar punctures, a muscle biopsy, EEGs, MRIs, EMGs, endless blood tests. They all showed nothing. Nothing. Often, this was followed with a sigh of relief as conditions were slowly ruled out. But how was this possible? How could there be absolutely nothing wrong with my child and his symptoms be so pronounced? We still don’t know. Three years later, we are still in the dark. We are however, extremely lucky and grateful for the progress in treatment that has been made. Amazingly, Jackson’s dystonia and attacks of involuntary movement are almost completely controlled with epilepsy medication. But as one symptom has gone, another has appeared and last year we faced a frightening decline. He developed a new episode which would leave him unable to move for up to an hour. Again, tests showed that they weren’t seizures and the working theory is paralysis attacks. At his worst, he was in an attack most of the day and was losing developmental skills. A tweak in meds has brought this almost under control, but we are all too aware of the bubbling mass of symptoms that sit behind a mask of medication. Jackson’s development remains an up and down journey. We never take a new skill for granted, as we don’t know how long he will have it for. At almost four, he is yet to crawl or say his first word. As he gets older, we find ourselves trying to unravel behaviours and symptoms with no benchmark or comparison. We don’t know what is caused by pain, what is caused by sensory problems and what is just being three. We don’t know what will change or where we are headed. But he remains our happy, smiley boy. I won’t dip into the clichés about how much he has taught us and changed our lives for the better. But they are true and he has. So, why am I here, telling our story? Well, as the title may suggest, it’s Undiagnosed Children’s Day. And when asked by SWAN UK (Syndromes without a Name) if we would share our story, I was happy to oblige. Given that three years ago I would have run away, hidden or created a ludicrous fake name in order to do this (something WAY more exciting than my actual name)…this is quite a turn around. And the reason is because it matters. It matters because there is so little knowledge or understanding around undiagnosed children. 1 in 25 children are born with a genetic condition and it is estimated that 50% are ‘undiagnosed’. Admittedly, we are a transient group, as some children do eventually get their diagnosis. But there are some who don’t. Ever. And I didn’t really know that was possible. I thought there were perhaps a few undiagnosed children out there. But I didn’t think there were thousands. I also want to believe that not having a diagnosis doesn’t affect support. But I know that’s not true. Much like the gold and white/blue and black dress; it’s easy for statutory services to see different versions of the truth when there is no clarity. When there is no prognosis. I have genuinely been told ‘if he’s not diagnosed, how do you know he won’t get better?’ by one professional and having unknown symptoms has been an ongoing challenge in qualifying for some areas of support. We are now in a position where we do have some support in place. But when we really needed it and we didn’t know what was going to happen, it often wasn’t there. Because no one knew what was going to happen. Or how they should be supporting us. We don’t have a ‘care pathway’. Because don’t know what will happen tomorrow, next month, or ten years from now. One place that has helped immensely is SWAN UK (syndromes without a name). This small but rapidly growing project, which is part of Genetic Alliance UK, introduced us to other families in the same situation. We got advice, we got information and we learned that it wasn’t just us. Undiagnosed Children’s Day matters because it is a chance for these families to tell their stories. Families like us. It is a chance to raise awareness and….yes… raise money (because in reality, for service provision to be in a position to answer the need; that has to happen). It’s also a chance for us to celebrate and remember. It’s a chance to filter out the background and let people see the true picture. And whatever reality looks like (CLEARLY white and gold by the way), demonstrating the rich complexities might just help others stepping into our shoes in the future. Or at the very least, it may help them to know that they are not alone.